SAN FRANCISCO — July 17, 2013 — Wyrmbyte, an indie video game studio made up of veteran developers, today announced new metrics and features for the company’s inaugural title, Dragons and Titans, which has attracted over 600,000 players worldwide since beginning its open beta May 1. Wyrmbyte is celebrating the full release of Dragons and Titans and this metrics milestone by launching a Steam Greenlight campaign, adding new player customization features, and introducing its first recurring competitive season, where top-ranked players will win special prizes. Play Dragons and Titans on Facebook now. Dragons and Titans combines the ubiquity of the web with the latest social features and gameplay elements to deliver a new, fast-paced MOBA experience. Unlike traditional MOBA titles, matches in Dragons and Titans never last longer than twenty minutes. To introduce the game to additional MOBA players, Wyrmbyte launched a Steam Greenlight campaign. Players who want to bring the high-speed MOBA intensity of Dragons and Titans to Steam can support the campaign here. Hephaestus’ Lair, the Forge, has been unveiled with this update to Dragons and Titans. The Forge Titan can now make weapons deadlier, adding more DPS with damage increase, mana cost reduction, and ability cooldown reduction.” To forge these bonuses onto weapons, players must collect four different Forge Elements, found in battle. Forging all elements surrounding the Upgrade Tower unlocks that tower’s weapon bonus. A fully forged weapon is more powerful and appears in-game red and molten forged when showcased in battle. The bonus effect from the forge also applies to the dragon, in addition to the weapon, in battle. A Rune Combiner was also implemented, which allows players to combine three of a single type of rune to produce a more powerful version of the same run. Rune combination boosts the enhancement that runes provide to a players weapon and dragon during a given match. Gamers also have the option to combine three different runes, resulting in them obtaining a random rune of the same level. New dragons and weapons are being added to Dragons and Titans on a weekly basis, with 22 weapons and 22 different dragons currently available. 28 dragon skins have also been added, which let players fly in style as they customize their dragons and change how they look in battle. Every great MOBA revolves around seamless and efficient matchmaking with friends and teammates. To address this fact, Wyrmbyte improved Dragons and Titans’ friend list and team-making functions. Players can add a friend simply by clicking the player’s name from the chat window and selecting to add the person to their Dragons and Titans friends list, allowing gamers to easily team up with other Dragon Lords. In addition to matchmaking, a new pre-select mode lets players select a dragon or weapon they already own before entering the queue. This gives them the first pick at their favorite dragons and weapons, and ensures they’ll get to play with them during a given game since they won’t be accessible to another team mate. Leaderboards have also been added to Dragons and Titans, with the first full competitive season running from July 1 to September 30. Seasons will run for a limited period of time, and the top 100 ranked players at the end of each season will receive an exclusive Avatar for their Dragons. To help shape game development, Dragons and Titans enthusiasts can apply to join the Council Lord group, a select body of players who are able to play on test servers and provide critical feedback for the developers at Wyrmbyte on new additions to the game. To become a Council Lord, visit the forums here for requirements and steps on how to apply. Founded in 2012, Wyrmbyte is focused on building cutting-edge cross-platform video game experiences. The team at Wyrmbyte is comprised of veteran gaming developers from END Games Entertainment and NetDevil. 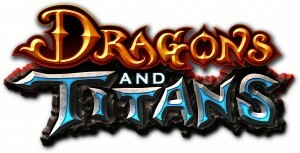 Dragons and Titans is the studio’s first official title.